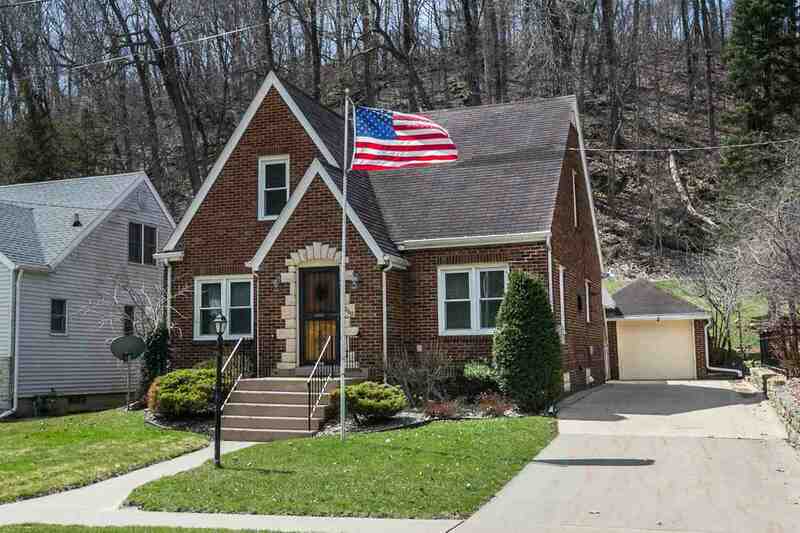 Absolutely charming brick home located on the North end just steps from Dubuques&apos; National Treasure, Eagle Point Park. Enjoy a serene setting with a country view from your enclosed back patio. The home features beautiful refinished hardwood flooring throughout, newer triple pane windows, newer furnace, 3 bedrooms, 3 full baths, over sized single car garage with workbench and loft for storage, additional covered carport and a fully fenced back yard. The lower level is finished 70&apos;s style complete with rec room and bar, just think of the fun! This home has been lovingly cared for by the same family for close to 70 years and has been pre-inspected. Schedule a private showing with your favorite realtor today!